Glasgow Local Medical Committee is the only organisation recognised by statute as the body representing all GPs practicing in the Greater Glasgow & Clyde area. Glasgow LMC elects 7 members to serve on the BMA Scottish General Practitioners Committee each year to contribute to the development of national Policy. Qualified MB ChB Aberdeen 1980. He is a GP Principal in Newton Mearns since 1991. Single-handed for the first 12 years. Prior to Newton Mearns Dr Haughney was a GP Principal in Port Glasgow. He Joined Glasgow LMC in 2008 after a locality meeting about the Health Visitor review. LMC Chairman since 2011. Current member AMC and SGPC. Main areas of activity: Older Peoples Services, Premises, Non-Medical Prescribing and Primary/Secondary Care Interface. Interests include Golf, gym, watching football and rugby. 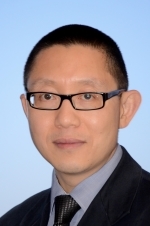 Dr John Ip qualified from Edinburgh University in 1996 and has worked as a GP in King Street Surgery in Paisley since 2000. 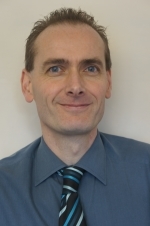 John joined Glasgow LMC in April 2006 (originally from Argyll and Clyde LMC where he was Medical Secretary from 2004). He has served on SGPC since 2004 and on the Executive since 2012. He is Chair of the Area Medical Committee and the GMS IM&T Committee. His areas of focus include IT, the GMS Contract and LES negotiations. Dr Moultrie qualified from Glasgow University and holds postgraduate qualifications; Master of Law, Glasgow University, Diploma in Occupational Medicine and Diploma in Disability Assessment Medicine, MRCGP, DRCOG. She has been working in General Practice on a freelance sessional basis since 2002 having previously been in partnership for 14 years. Dr Moultrie holds 10 years’ experience as a GP Appraiser before standing down to take up the role of Medical Secretary. She is a member of Fitness to Practice panels and member of the Advisory Committee of the Medical Practitioners Tribunal Service. 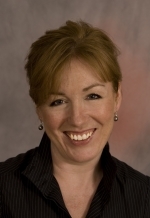 She is also a medical member of the Tribunal Service and a representative of the BMA Scottish General Practioners Committee. Graduated 1997 from Glasgow University and did my houseman years in Dumfries & Galloway and the Victoria Infirmary in Glasgow. Completed my registrar training at Midlock Medical Centre in Ibrox and became a partner there. I am still here 12 years on and am also the lead trainer for the practice. I have a special interest in medical ethics and medical law having completed my Masters in Medical Law in 2010. I am LMC rep for south west Glasgow for the last 4 years or so and have recently become a member of the SGPC. I feel strongly that the work of the LMC is a crucial voice for the GPs of Glasgow. Qualified from Glasgow University in 1992 MBChB. 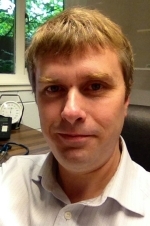 He has worked as a GP in Kessington Medical Centre in Bearsden since 2001. He was a GP trainer (2005-13) and GP appraiser (2005-14) . Alastair joined Glasgow LMC in 2003. He has served on the Executive since 2007, on SGPC since 2012 and as Vice Chair of Glasgow LMC since 2012. His areas of focus include IT & the GMS Contract. He is also on the SCIMP Working Group. His main interest is sailing and has previously sailed round the world in the Clipper 96 Race. I’m a GP working in Parkhead in the East End of Glasgow. I have been part of the LMC for 3 years, and feel it is important to be involved while there are big changes taking place in family medicine. I am involved in a number of national and local groups promoting health and good clinical care- examples of this are the Deep End practices, House of Care and local education evening for primary care teams in the areas of heart disease and stroke.